Synopsis: Derek and Hansel are lured into modeling again, in Rome, where they find themselves the target of a sinister conspiracy. Given that they had fifteen years to come up with a worthy sequel to cult favourite Zoolander, and that this belated sequel was written by the team behind the genuinely funny Tropic Thunder, you’d hope that Ben Stiller and Justin Theroux would have come up with something of value. Sadly, it wasn’t to be. Zoolander 2 is nothing more than a half-baked mish-mash of predictable humour, the modest peaks of which barely raise a smile, and toothless satire of a world which, thanks to its pretentiousness, has always provided a cheap and easy source of humour. Ben Stiller steps into the designer shoes of the title character, a once world-famous fashion model now living as a hermit since he lost his wife to a freak accident, and his son to authorities who considered him to be an unfit father. Zoolander and Hansel (Owen Wilson – Midnight in Paris) are reunited after both are coaxed out of retirement by Billy Zane (Back to the Future, Posse), but times have moved on and they are no longer the fashion icons they once were. 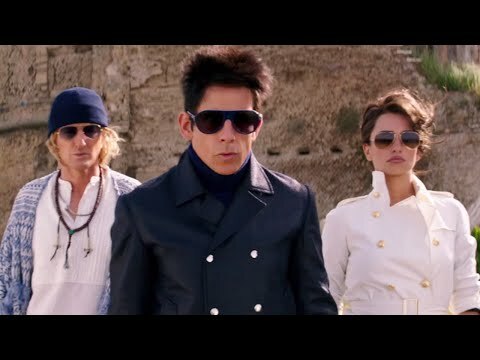 In Rome, Zoolander is approached by agent Valentina Valencia (Penelope Cruz – Nine, The Counselor), who is investigating the murder of Justin Bieber (who, in perhaps the film’s best sequence, we see gunned down in the opening scene). Bieber is the latest in a number of celebrity killings, all of whom were found adopting one of Zoolander’s trademark poses. Although it’s only February, I’m willing to bet that 2016 will see no greater cinematic disappointment than this sorry, lacklustre mess. It clearly aims for an Austin Powers feel, but falls far short in every department. Stiller and Wilson, at least, appear to be having fun as they talk to one another like lovers, but they stumble through scene after disastrous scene, crushing what remains of what was already an over-rated concept on their way like two dim-witted monsters incapable of understanding the carnage they leave in their wake. Comedies like Zoolander 2 are usually light on plot, but that’s because the strength of the comedy material is expected to eliminate the need for any real depth of plotting. It’s all about the interaction of the characters, but when a comedy’s characters are more irritating than funny the lack of plot becomes glaringly apparent. Things do liven up a little with the belated appearance of Will Ferrell as Zoolander’s nemesis, Jacobim Mugatu – but he shows up too late to salvage much from the wreckage. And, let’s face it, when you need Ferrell to give your movie a few laughs you really know you’ve got a dud on your hands.